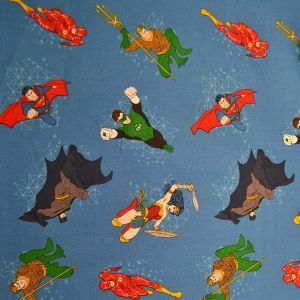 Justice Badges in White colourway for Camelot Fabrics from their DC comic range. Your favourite DC superheroes in power pose! Featuring: Wonder Woman, The Flash, Green Lantern, and Batman.